Subscribe now to escape the hotel! Two 45 Minute Escape Adventures await in this box! Your mission takes you back to the 1893 World’s Fair in Chicago, where you will have a choice to make. 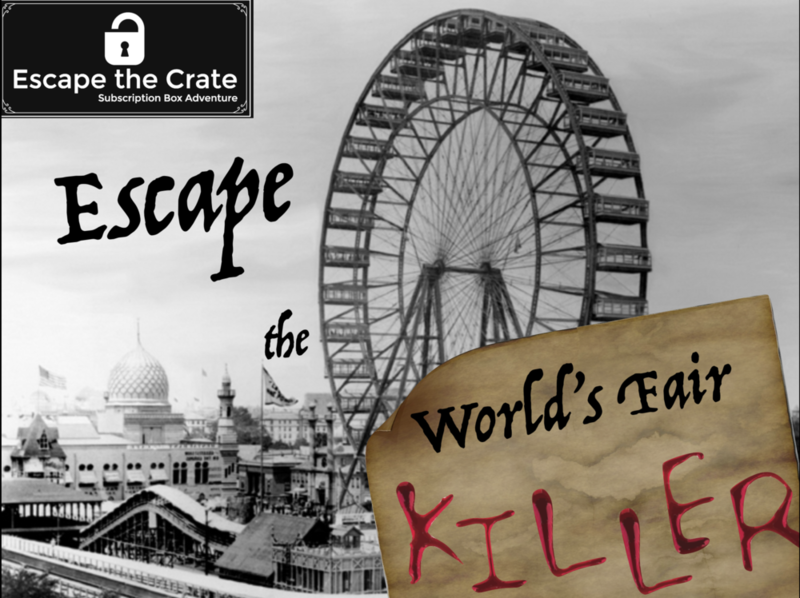 One Escape Adventure is a Family Friendly exploration through the fair which introduced the Ferris Wheel, Cracker Jacks, and many other iconic inventions as you search out a misplaced object in time. Will you be able to discover all of the secrets of the World’s Fair? The other Escape Adventure, however, takes a darker turn. HH Holmes, America’s first Serial Killer, set up a hotel near the World’s Fair and rigged its rooms with a variety of traps to ensnare his victims. Step into his hotel and dare to avoid the traps and escape in time. Will you escape or become his next victim? Both games are included in this next adventure to play separately or together!